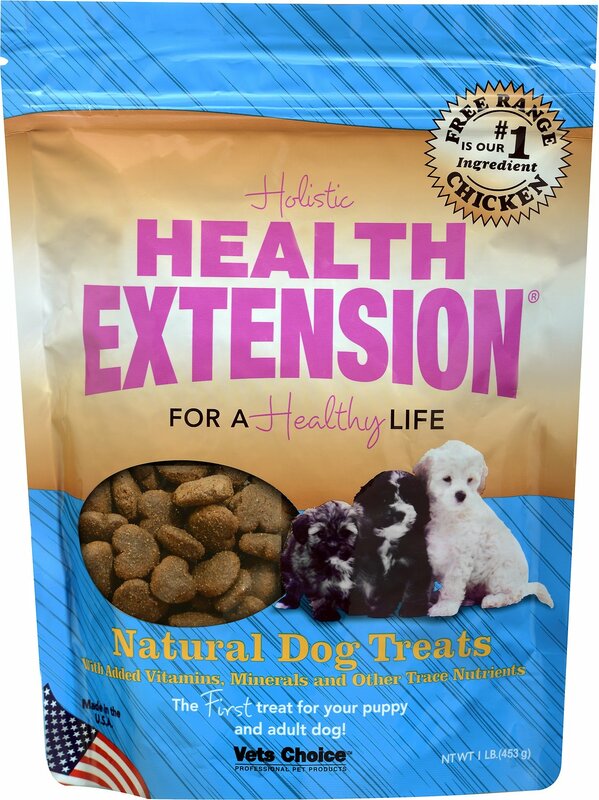 The Holistic Health Extension dry food your dogs love… now available in a heart-shaped treat! The first completely balanced diet for puppies and adult dogs. These highly digestible treats don't contain any corn, wheat, soy, or gluten. Free-range chicken is the #1 ingredient. No rendered animal fats, glutens, added sugar, Ethoxyquin, or BHT. Made without artificial preservatives, flavors or fillers. Organic Chicken, Chicken Meal, Ground Brown Rice, Chicken Fat, Lamb Meal, Fish Meal, Flax Seed, Brewer’s Yeast, Egg Productvitamins & Minerals: Longevity Drops (Natural Barley Malt, B1, B2, B6, B12, Apple Cider Vinegar, Garlic, Astragalus, Ginger), DHA, Ginger, Primrose Oil, Glucosamine HCL, Chondroitin, Trace Mineral Salt, DL Methione, Vitamin A Acetate, Vitamin E Supplement, Riboflavin Supplement, Vitamin B-12 Supplement, Coral Calcium, Vitamin D, Magnesium, Niacin Supplement, Choline Chloride, Pyridoxine Hydrochloride, Thiamine Mononitrate, Folic Acid, Ascorbic Acid, Biotin, Inositol, Omega 3 / Omega 6 Oils, Dehydrated Kelp, Polysaccharide Complexes Of Zinc, Iron, Manganese, Copper And Cobalt, Calcium Lodate, Sodium Selenite, Yucca Schidigera Extract, Colostrum, Blue/Green Algae, Pectin, Lactobacillus Acidophilus, Lactobacillus Casei, Enterococcus Faecium, B. Subtillus, Bacillus Lichenformis, Bacillus Coagulins, Aspergillus Oryzae And Aspergillus Niger. Received 2 bags of these treats today. They are advertized as 1lb bags....so imagine my surprise when the 1 pound bag was actually only a 12 ounce bag. Definitely feel short changed......and a little bit perturbed. What’s going on?? My Danes love these. Ingredients look good and I really like the size. They’re good for bigger dogs. My dog would not touch these. She is a picky eater though, so it could just be that it's not to "her" liking. 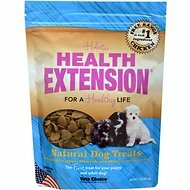 these treats are great not to small and a nice crunch, my GSD loves them and I like the company. I give my dogs a lot of treats so they have to be healthy. I'm happy that these heart shape treats are very crunchy and high in crude protein. On the picture it shows small dogs U have a Pom. The bits are very larger he can't eat them So would recommend for large dogs Can i exchange ? 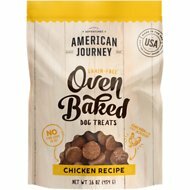 My pup just loves her treats and the fast delivery makes them go from bag to mouth even faster. My dog liked these and i would buy them agian not to large and no wheat,potatos,or sugars,pretty much the same ingredients as the food. I got the treats for the dogs for valentines days. They don't like texture, crumb. So I don't think id get them again, I got them cause heart shape. Both my dogs and cats like the Puffs, and bison bites. So just wouldn't get the heart shape cookies.